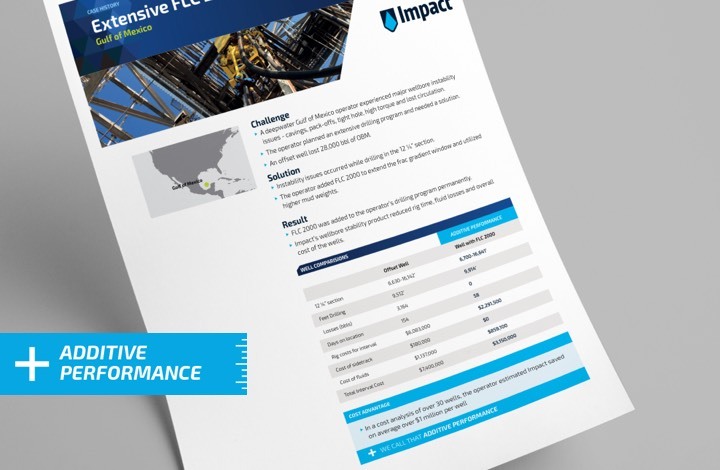 Impact Fluid Solutions is a specialty chemical company that helps oil and gas producers solve costly drilling challenges. 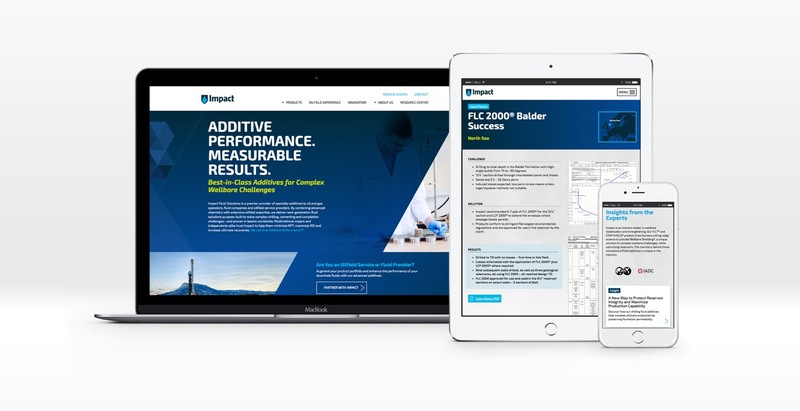 While Impact is not widely known, its flagship product—FLC 2000, a drilling fluid additive—is a category leader.  In fact, the wellbore shielding and strengthening agent enjoys greater name recognition than the company itself. Impact engaged SPINE to accomplish two primary objectives. First was building the Impact brand and increasing awareness. Second was maintaining the premium position of FLC 2000, which was drawing comparisons with a drilling fluid additive known as lost circulation material—a commodity product, priced accordingly. The project began with a discovery phase to identify Impact’s organizational strengths. We synthesized our findings into a unified, go-to-market messaging platform that highlighted key brand attributes. This corporate positioning work included crafting a new tagline that was simple yet rich with meaning: Additive Performance. Finally, the new messaging informed our development of the brand look and feel. We also modified the logo to better communicate the core concepts of strength and reliability. 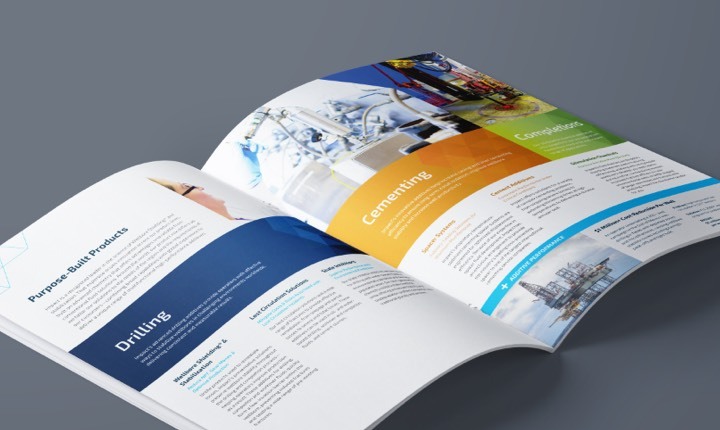 Selling drilling fluid products is a complex process that involves many layers within an oil and gas operator’s organization. The most important seat is the drilling engineer. These people are responsible for designing a well and delivering it to spec, on budget. They are a skeptical group and require data—not just marketing claims—to believe in a product. 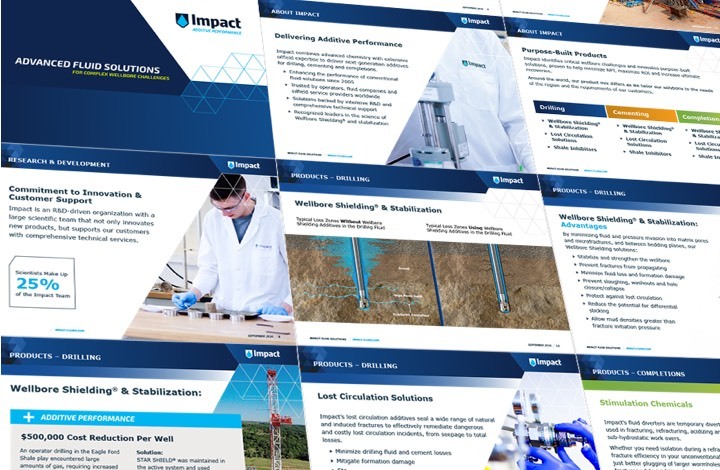 We took an evidence-based approach to Impact’s marketing materials, highlighted by statistics and case studies. We tied the data to the new branding by labeling successful results as the “additive performance” Impact provides. 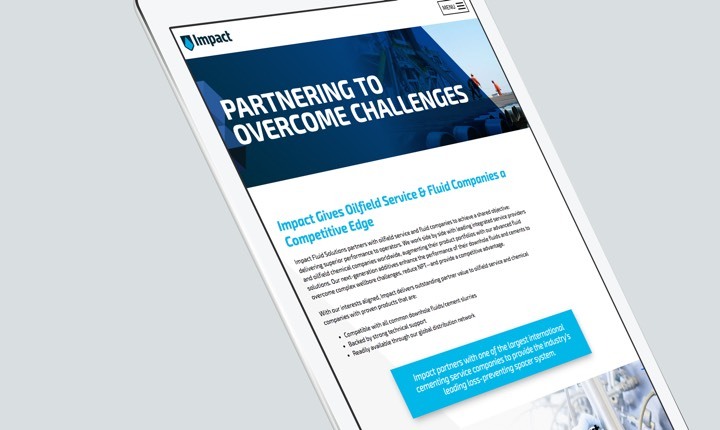 In addition to selling directly to operators, Impact often works in partnership with oilfield service companies. (They provide the drilling fluids that Impact’s products are added to.) However, these companies sometimes view Impact as a competitor. We tailored messaging to help this audience understand how partnering with Impact could be mutually beneficial. Every employee is a potential spokesperson for your company, representing your brand. Once we developed the new messaging, we developed internal communication programs to ensure it was delivered consistently.